So I had one of those days where my neighbor told me his buddy on Long Island has a bike to give away if I just want to go get it. He showed me pics. 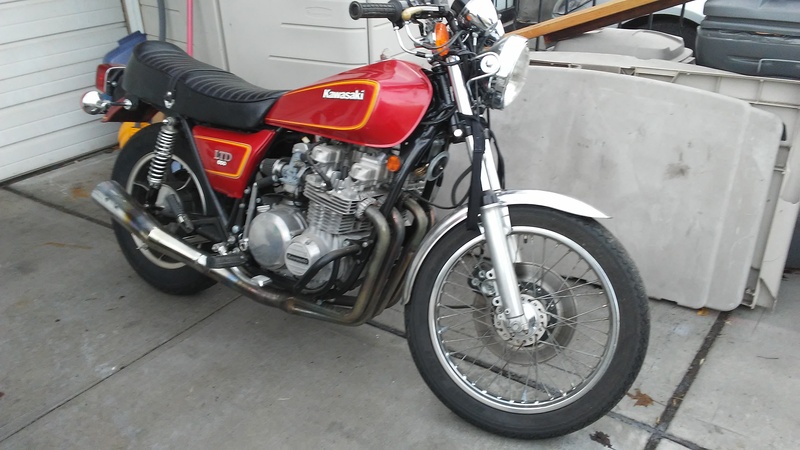 Its a new showroom clean 1980 Kawi LTD650 inline 4. Original owner, 7k orig miles, even orig seat. Clean title, free of charge. It had sat for years but got it running in 25 min. Cant believe how clean it is. It never sat outside and never even saw rain, no rust on chrome no pitting, nothing! God just gave it to me. Wow, thanks! Nice find, well done... dont sell you wont get much, but keep and ride it, it'll bring miles of smiles. I really couldn't it is a guy I don't know an hour from home. He just wanted it gone. I was very thankful. The trick is I don't have garage space for it so its in the driveway now. Great score mate, ride and enjoy ! Very cool!!! 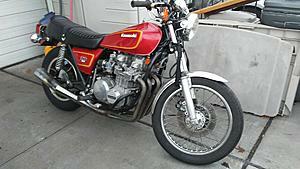 My very first bike was an '80 CB650C, also given to me. Mine hadn't run in over 10 years. Looks really clean, enjoy! Off topic a bit, classic I-4 gone bad? Or not?